After the opening hour of #edchatMENA “Nature vs Artificial Intelligence” on Saturday 24 March 2018 I went outside to my other “office”. A large branch from a cedar tree had fallen during recent snow and wind. We had cleared much of it in the past few days, but, because it was now looking a bit lopsided, we’d decided to trim the other branches. Without realising it you think, and learn, a lot when playing with nature. There’s the physical aspect of simply walking over fallen branches, or climbing up to get at the branches that you want to cut or carrying the saw. Then there’s the care that you want to take to avoid getting hurt. This is learning where failure can be terminal. I’ve had a couple of close shaves, and have the scars to remind me, so I’m not as audacious as I used to be. It would be wonderful if you could also hear the birds and smell the wood. Fresh cedar has a powerful aroma. Its sap is sticky and stays on you. When you’re up close and personal with the tree you also notice the differences with the other fir trees nearby. With a guide book in hand you can accelerate your understanding of the trees and their different habitat. 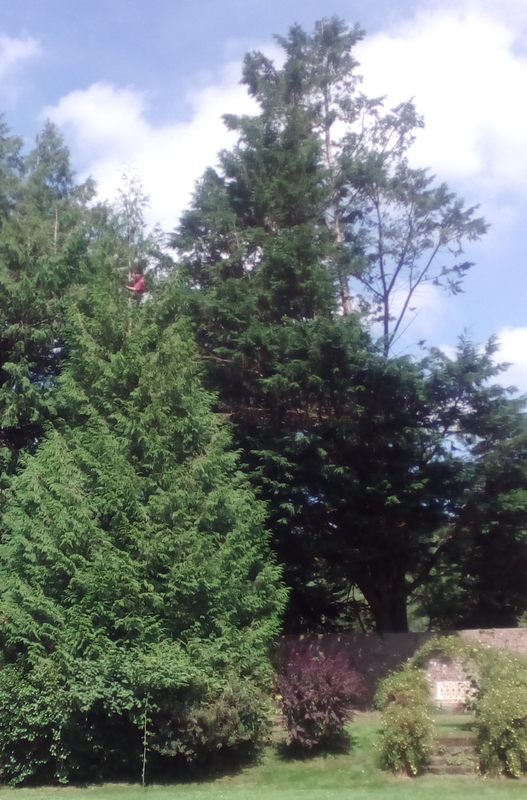 Here’s how it looked a couple of years ago after one of several main trunks had fallen backwards leaving a bit of a gap … You can see a “monkey” in the fir tree to the left, which helps indicate scale. 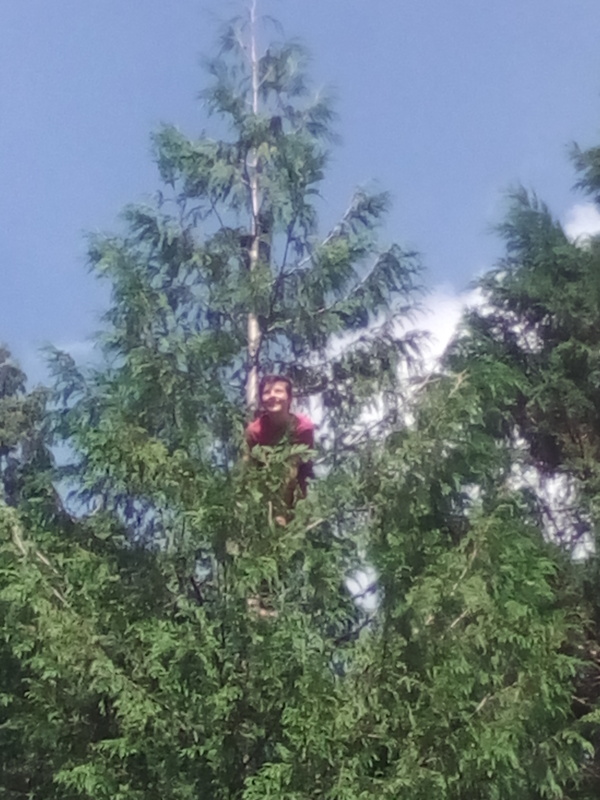 The tree is about 30m high.